City Council will vote on Mayor Ted Wheeler's protest ordinance on Nov. 14. 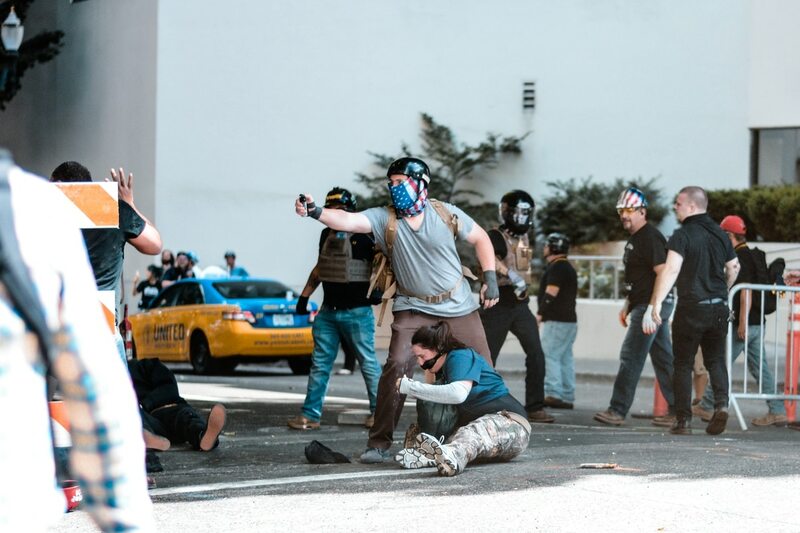 Advocates with three civil-rights groups—the Western States Center, CAIR-Oregon and the Oregon Justice Resource Center—sent their own plan for stopping violent street clashes to Portland Mayor Ted Wheeler's office last month. They presented their alternative plan, WW has learned, with the hope that Wheeler would abandon his attempt to expand police powers to control violent protests. The groups say they met with the mayor and his staff on Oct. 18. ...They asked him to consider a broader approach to counter the white nationalism and far-right extremism that has sparked violent clashes on Portland's streets. They offered to fund the efforts with private dollars. He did not accept that suggestion, they say. And tonight, those three groups are going public with their rejected recommendations, on the eve of a pivotal City Council vote on the mayor's plan. ...OJRC executive director Bobbin Singh says the mayor missed an opportunity to collaborate with civil-rights leaders. "We came to the mayor and we said to him 'Our objective is to make the city look strong,'" says Bobbin Singh, OJRC executive director. "We want to lift up the mayor and make him look strong on this issue. We see that the city could use a win. He could use a win. And we wanted that." Singh calls tomorrow's ordinance vote a "lose-lose" scenario. "If it passes, it has divided the civil rights community and the city," he says. "If it loses, it just reaffirms what the alt-right has said about [Wheeler], that he is a weak mayor and this is a weak city."